What have we done with this machine? How is this machine functioning in our current society? About three years ago, one of the neighbors came and we were discussing things in general, he then mentioned an interesting event, a family member tendered for the engine block of one of the new Toyota models that were going to be produced. The specifications of the tender were that the block must last for a warranty period of five years. So in their diligence and commitment to get the tender, they engineered an engine block that would last 8 years. Obviously they were under the impression that if you produce something better than the specifications, your tender will probably receive a more positive view. Fascinatingly enough their tender was rejected, because it did not keep to the specification of a warranty of 5 years. Now the engine block of a motorcar is engineered, produced and constructed by the machine, but who makes the machine that makes the engine block? That is the human and the human intent. If we take this now to a broader view of many, many products that are available in stores, we’ll notice that many of them are produced by the machine. But regardless of being produced by the machine (which by the way ensures a greater level of perfection than when it is produced by the human) – in total disregard of this potential perfection, the human would design the machine to produce the goods to only last a limited period of time. This causes massive levels of consumption, placing massive pressure on resources and all in the name of creating a market flow which produces money and profit, which produces – according to our well-drilled brainwashed economists –a market economy that’s necessary to keep the world economy going. And within this obviously, the competition that exists between the remaining few corporations in this game of monopoly, is to see ‘who can destroy who’ in price wars. It’s an economic war going on and at the end ‘only one shall remain’ – and the one that remains obviously will determine in the end the quality of the product produced. If the consumer has already been conditioned by the fact that nothing else is available but that which has a limited warranty, the corporation can keep producing the same product over and over again, knowing that it will fail within a particular period of time where the consumer will be addicted and adapted to have the product and thus must replace it by their own apparent ‘free choice’ — and so a market force is being created. Is this really the purpose of ‘the Rise of the Machine’? What is the machine replacing but the human labor point? By replacing human labor what we have already seen is that many people lose their jobs and even those that remain employed, end up receiving lower incomes with only the few at the top receiving higher incomes. In this way it is ensured that those that do make the decisions, do not question the system; those that do not make the decisions have no choice, because otherwise they will have no job because of their diminished bargaining power in an economy with high unemployment. So, a perfect slavery system exists – all in the name of the machine and the machine is blamed for it, instead of the human. Certainly in a redesigned economy, the machine can play a significant role in perfecting the products available for the human race to use, perfecting the reduction of resources used in the production process, extending the life of the produced product as part of this perfection. Through this, allowing the human to benefit from their placement of the labor resource by ensuring that there is significant and enough Living income for each one to ensure that the product produced can be consumed but for mostly to ensure that the right to life is recognized as a human right, allowing the human to have more free time in which to develop their awareness to become more benevolent, less competitive and self-responsible. 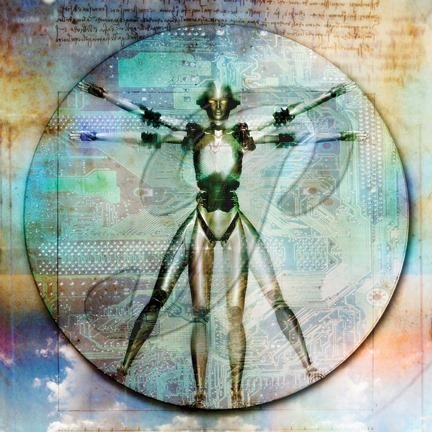 Those are the points which should be the outflow of the rise of the machine: a reduction in competition thus a reduction in conflict, a reduction in war and the development of quality production and sustainability, because the principles are understood as what is necessary to have an ecosystem that is effective and supportive in nourishing the human race as a whole. Unfortunately, this is yet to be considered. The Light Bulb Conspiracy to understand the nature of the problem: the problem is the human being, not the machine. The machine certainly can create and contribute to a society that brings vast levels of freedom to everyone and our society can develop a higher purpose for its existence. At the moment, we’re at the most basic part of our existence where there’s not even a Living Income, there’s not even a Living Income for everyone! While this could have been possible if this was introduced as the machine was rising but instead, those brutal enough to take advantage of the situation forced a play that caused a massive problem in the world, and now all the top people, the elite in the world has no idea how to practically solve the problem. So the solution to the problem is not apparent, more radical steps are being considered. I would suggest that the real radical step is to realize that the mistake was made when labor was removed from the equation of the pricing of a product, and it was replaced by the labor of the machine, you cannot compare the two: the machine is actually an extension of human labor and therefore the human should be glorified through it, it found a better way to create more time. But now instead, those that do not fit into the economic model are forced to use all their time to find ways to survive – that is certainly not the way forward. Living Income Guaranteed, become part of the research. If your objective and your principle is like ours: to find a practical solution that is best for all that works for everyone and you can see that obviously that is the only way we will have a workable solution on earth, then join us. There is no way that an answer on Earth is going to come through an individual, it’s going to require a group, the group as humanity to work together, to bury the hatchet and to forgive each other and to move on and create a system that is best for all – there is no other solution possible. And to simply try and ‘find ways’ that do not involve an outcome that is best for all: is just a waste of time. This entry was posted in Basic Income Guaranteed, Best for All, Birth Right, Budget, Common Sense, Consumerism, Dignified Living, Economic Change, Economic Efficiency, Economic Growth, Economic Reform, Education, Elite, Equal Life Foundation, Equality, Global Economy, Human Creativity, Human Rights, Integrity, Job Creation, Labor, Living Income Guaranteed, Machines, Market Forces, Marketing, Planned Obsolescence, Power of Acquisition, Pricing, Production, Profit, Propaganda, Quality Standards, Resources, Science, Self Sustainability, Social Responsibility, Sustainability, Technological Unemployment, Technology, Value and tagged annual income, basic income, capitalism, competition, economic approaches, economic efficiency, economic war, elf, employment, engineering, erradicate poverty, forgiveness, free choice, higher incomes, human labor, job creation, labor, labor value, living income guaranteed, load costs, machines save mankind, market forces, monopoly, new economic model, pay the poor, peak employment, planned obsolecense, product uprade, production, reactivating economy, solutions, Survival, technological unemployment, technology, tender, the lightbulb conspiracy, time, toyota, work. Multiple ways have been found throughout time to justify the inequality that exists and to cast the elite as somehow more important, more endowed than those that have not. Here, the elite obviously being the ones able to fund the propaganda that made this an acceptable way of life, creating from the old cast systems in the east today, the cast system of ‘Positive Thinking’ claiming all the way that each one is individually responsible for what and where they find themselves in this world. If we have to look at the facts of how the system functions, then we can clearly see that this is not true. If we have to look at the fact that there exists an inability to use a democratic model to bring about change, where each person has one vote and thus the majority – if they were in fact able to assess what is best – would vote for what is best, and what is best will always create a result that is also best for the individual. Yes, those in power that manage the content of the human mind through media, through entertainment, through television, through education, through religion, through every means that now exist – because they are funding it and they are funding what protects their rights but do not protect Human Rights – those will be in a lesser position than where they are now but some of them own virtually the whole world! So: they’re going to have to share. What is interesting in all the economic approaches and activism approaches to the problem of the world is that there is no actual substance in their approaches. If you look at the economic models and how things are based on possible outcomes, opinions for instance are used which are statistics. Statistics is the very clever design of the public relations industry through which people are manipulated. If we look at statistics and you build a model – let me give you an example to demonstrate my point: if half of your body is in a freezer and the other half is in the oven you can statistically prove that you are now ‘on average comfortable’ – that’s bizarre! But that is what statistics do, it is a way where you can model information to suit the answer you want. Now understand that our educators and our scientists are all funded with Grants, they have Basic Grants which they then use to do ‘research’ – but they’re not really doing research, they are instructed to build models that will fit the public relations objective of the corporation or government that is giving the grant – they are not really scientists, they are not really educators, they are simply wage-slaves because it’s a form of slavery. 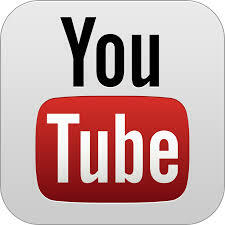 They are forced by money to follow instructions and to build models that can be used to misdirect the populous so that they do not threaten the power and wealth that is situated in but a few family lines. And everyone that benefits from this system as it now exists in some way ends up as a slave because you are virtually initially forced by money and wealth to change your principles and then to take your principles and your integrity to create a form of opinion, a form of statistical model to justify your decisions so that to yourself you sound ‘right’ and righteous. This is for instance a fascinating thing because if you look at the current Basic Income Grant models that are being presented in places like Europe and in Scandinavia specifically, there’s no real research being done about the Impact such a model would have in all the other countries in the world. If you take a country like Switzerland and you introduce a Basic Income Grant Model, you will increase consumerism in Switzerland, there would be no other actual change but that would lead to an outcome that the Swiss will be consuming more of resources on Earth, which would lead to poverty in other countries. Obviously they haven’t considered or investigated such points because they don’t really care about anything else but their own pocket, they don’t want to consider the problem is within how information is moved, within how education functions, within how religious brainwashing functions, within how the economic model is based on statistics which means you can’t trust any of the information given out by any government because they only use statistics, they don’t use facts. The fact that ideologies like ‘Anonymous’ are used to create fear so that ‘you do not share your data’ just underwriting the fact that the average human being has no conception of mathematics and the importance of mathematics within our physical world. So there is no exact data with which to create a system that is best for all where each one will be taken care of because nobody wants to share their data, you fear everyone else. There’s this complete conspiracy of fear that has been propagated over generations to ensure that you become in the end only a number – exactly what the Bible predicted – and that everything you do is always just about numbers, but never about mathematics. It’s always about how much money you can make, profit, numbers and statistics which is just numbers, numbers that don’t mean anything and you can make it look like anything: Public Relations Propaganda. 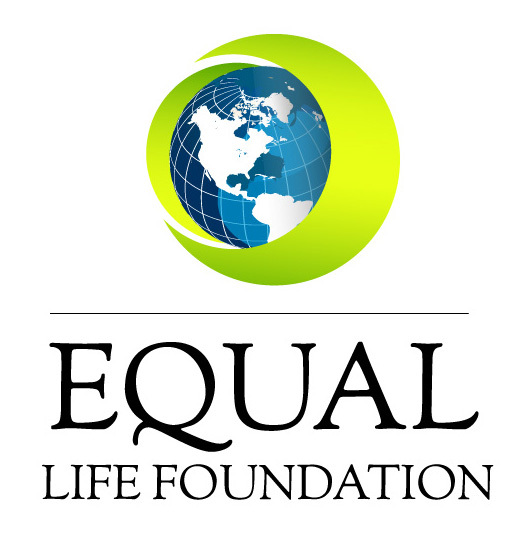 Equal Life Foundation, we do Actual Research, we base it on fact, we show you how incorrect reasoning and self-interest will lead to problems, we show you that unless what you install on Earth, what you promote on Earth is based on fact, that means on the facts that are on the ground – with the feet on the ground – the facts of the lives of the people and unless we get to a point where we can realize that this mathematical fact is necessary to get the mathematical certainty of outcome to produce a system that is best for all and we keep on promoting the idea of Free Choice under the disguise of statistical models called opinions, creating a complete lack of ability for the human to do any reasoning, the world will continue to get worse – it is a fact. You have to understand that the anatomy of facts in this world is based on Physical Certainty – not on mind models of opinions where you try and look clever with all kinds of models that you draw on paper, making little lines calling them ‘graphs’ and saying ‘that’s the movement, that’s the frequency, that’s the energy’. Do your research, join us in this process of a Living Income Guaranteed as a Human Right for Every Being from Birth to Death, that’s the very least you would like for your own children; you want to be sure that your generations have a future? This is the way to go. This entry was posted in Activism, Best for All, Change the World System, Culture, Data Sharing, Democracy, Economic Change, Economic Reform, Education, Elite, Equal Life Foundation, Equality, Free Choice, Inequality, Labor, Living Income Guaranteed, Media, Power, Propaganda, Public Relations, Religion, Research, Science, Statistics and tagged activism, anatomy of facts, anonymous, basic human rights, BIble, BIG, cast system, cast systems, conspiracy, data sharing, democracy, economic, economic approaches, Education, elite, free choice, functionality, grants, human rights, inequality, labor, Living income, living income guaranteed, mahematics, majority, profit, religion, scandinavian, school system, scientists, share, sharing, statistics, susbstance, swiss basic income, system, television, ubi, violation of human rights, vote. Austerity Measures: Can They Be Justified? Micro Credits – A Solution For Poverty? Blame Welfare Recipients.. or Implement a Solution? What is Corporate Social Responsibility (CSR)?